It's 2000 all over again -- or "far worse." So says Mark Cuban, the billionaire investor with good timing: He rode the dotcom boom of the 1990's and sold off his big investment -- Broadcast.com -- just before it all went bust. "If we thought it was stupid to invest in public internet websites that had no chance of succeeding back then, it's worse today," he wrote on his blog. He's concerned lofty expectations for unproven start-ups -- "apps and small tech companies" -- is driven by enthusiasm for the big players. "In the tech bubble it was Broadcast.com, AOL, Netscape, etc. Today it's, Uber, Twitter, Facebook, etc.," he wrote. 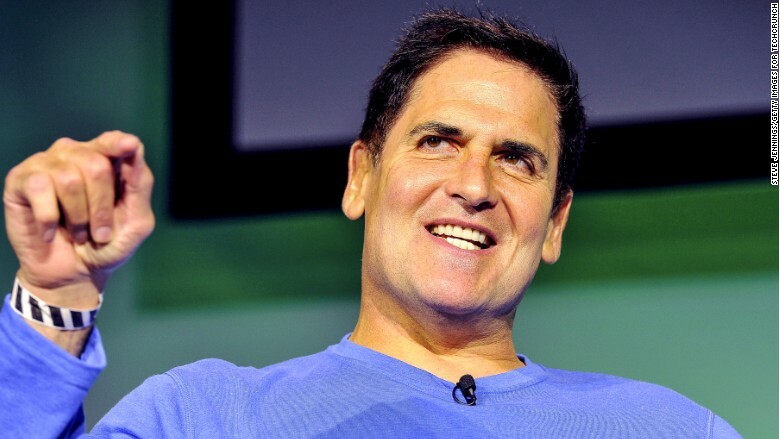 Cuban argued that many of those so-called angel investors -- "Why do they call them Angels? Maybe because they grant wishes?" -- don't "realize what they have gotten into." And it's not just the big-time sharks like Cuban who are taking the risk. While fund raising forums like Kickstarter thrive, securities regulators are working on rules that will make it even easier for start-ups to ask small-time investors to chip in. "(T)here is no reason to believe that the SEC will be smart enough to create some form of liquidity for all those widows and orphans who will put their $5k into the dream only to realize they can't get any cash back when they need money to fix their car," Cuban wrote. It's a hot question these days whether another tech bubble has been over-inflated. On one hand, the Nasdaq is back at the level it reached during the tech boom. It crossed the 5,000 mark on Monday, and has dipped just slightly since. On the other hand, some say the industry is more mature than it was 15 years ago. Companies are actually earning money, and the infrastructure of the Internet can better handle the video- and graphics-heavy websites people want to use.